Arjuna Schiks is no stranger to party people in Amsterdam; some call him Amsterdam’s favourite hippie. He’s been delivering smiles and energy to the melodic house and techno scene for years now. In 2014, the man is getting serious about expanding his success abroad, with some help of his buddy Einmusik. An electronic musician who took the ladder step by step to become the producer, live-act and label boss that he is now. 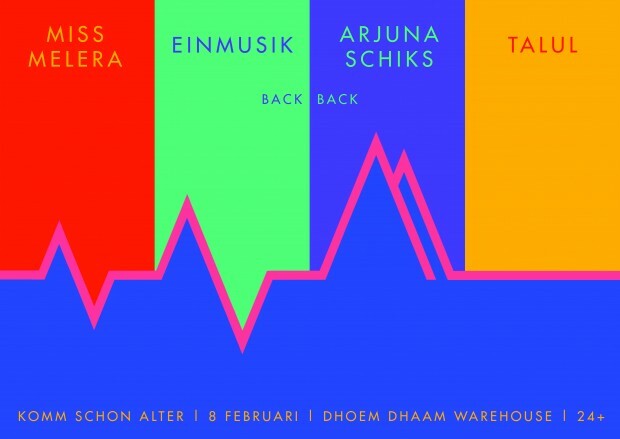 After being friends for years, you will do a b2b live-set at Komm schon Alter on February 8th. How is it to be working together as friends? How do you prepare for such a performance together? Arjuna’s tracks have been released under the Einmusika label, and now your latest collaboration ‘Beege’ is out on the Dansen Fransen EP. What was the inspiration and how did the making of the track evolve? What do each of you find interesting about each other’s music? Any colleague DJ/producers you can specifically appreciate or relate to at the moment? By now you’ve played at many different venues and parties. What are the key factors for a perfect party and how do you feel about performing for an older (24+) audience this time?